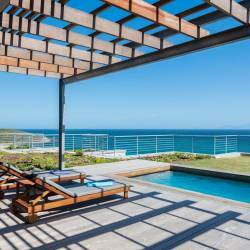 Phumula Beach Cottage in Salt Rock on the beautiful KZN North Coast is ideally situated on the main beach. The spacious self-catering cottage can accommodate 12 people and has direct beach access. Accommodation is provided in 6 bedrooms (three have queen size beds and the remainder have twin beds). The kitchen is spacious and fully equipped for self-catering, with modern conveniences such as a dishwasher, washing machine and tumble dryer. The air-conditioned dining / lounge area is open plan and comfortably furnished and equipped with DSTV (bring own decoder and smart card). The patio overlooking the large garden and the sea - a few metres away - is where guests enjoy entertaining, relaxing and grilling meat on the braai, cooled by salty sea breezes. 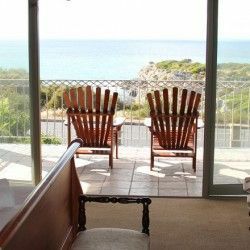 With trained life guards manning the beach and a protected tidal pool for holidaymakers of all ages to enjoy, Phumula Beach Cottage is a great spot for that perfect summer holiday.